Two years ago, Russ Clark was looking to buy a building to open a Carl’s Jr. restaurant. 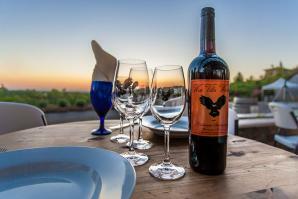 Clark owns two of the restaurant franchises in Yuba City and one in Marysville. But at the time, the banking industry was amid its crisis and tightening its lending criteria by the minute. Financing looked impossible for a $1.4 million property. But Clark found help securing a U.S. Department of Agriculture business loan through the Yuba-Sutter Economic Development Corp.
“It helped me crack through the banking situation,” he says. “Without the USDA loan portion, I could not have bought the building.” Clark has been a franchisee since 1987 and has won national awards from the fast-food chain for high sales volume. The USDA part of the loan only took 30 days, while the bank portion took 60 days. The latter is designed to boost economic activity and employment in rural areas with populations less than 25,000. USDA provides the loans to intermediary organizations, which in turn lend to local businesses. Congress provides funding for the loan program annually as called for in the federal budget. Organizations such as the Yuba-Sutter Economic Development Corp. act as loan intermediaries, borrowing the funds from USDA and lending it to businesses. Yuba-Sutter Economic Development Corp. is a nonprofit providing area companies with business assistance. It can only loan in Sutter and Yuba counties. But the Sierra Economic Development Corp., based in Auburn, offers the same type of loans to nearby counties. It’s a nonprofit that supports the rural communities north and east of Sacramento: El Dorado, Lassen, Modoc, Nevada, Placer, Plumas, Sacramento, Sierra and Yolo counties. “Most of this area is eligible for the program,” says Brent Smith, chief executive officer. The exceptions are all of Sacramento County, and larger communities like Rocklin, Roseville and Lincoln. For USDA loans, the organization assumes 100 percent of the loan and acts as direct lender. It does with the loan what a bank would do: intake, application processing, loan collection and more. USDA loan amounts typically range from $50,000 to $150,000. Smith says his board of directors will sometimes make exceptions for $200,000 loans. These intermediaries can be more flexible than typical banks with credit thresholds. “The USDA loans were available when nothing else was,” says Mark Hamlin, who co-owns Eden Vale Inn with his wife, Gayle. The Hamlins have owned the 10-acre property in El Dorado County for 25 years. A few years ago, the couple wanted to upgrade the inn, which features a converted barn estate with five private rooms. “But it was too much home for a traditional mortgage, and there were no good commercial loans for property,” Hamlin says. The Hamlins worked with the Sierra Economic Development Corp. to secure two USDA loans, which allowed them to expand the inn. The first loan was awarded in March 2009 for $150,000 and another for $100,000 in May 2010. Last year, Sierra awarded the inn with its Small Business of the Year Award for its positive contributions to the community. Brynda Stranix, president and chief executive officer of the Yuba-Sutter Economic Development Corp., says her organization’s USDA loans have the same loan underwriting criteria as banks. The loans are good at “filling the gap” between traditional bank lending and what the business owner can contribute. She says banks will only lend a percentage of a project. For example, a $1 million loan on a local project might be broken down as follows: $800,000 from the bank, $150,000 from the USDA and $50,000 from the business owner. Brent Smith, chief executive officer, Sierra Economic Development Corp.
“We require the owner to have some kind of cash or sweat equity infusion,” she says. Like Sierra Economic Development Corp., her organization does the loan underwriting, debt servicing and administration. The Yuba-Sutter organization also requires the creation of one job for every $35,000 loaned. Smith says Sierra sets its own interest rate on its USDA loans, which can range 7.25 to 11.5 percent. Factors that can influence the rate are the borrower’s credit rating, the type of loan and type of business. Smith and Stranix say their organizations are the only lenders in their respective regions to offer these USDA loans. “Banks don’t want to lend to startups, but we do,” Stranix says. In addition to startup costs and working capital, USDA loans can fund acquisition, construction, conversion, repair or enlargement of business facilities; the purchase or development of land; the purchase of equipment, leasehold improvements, machinery and supplies; pollution control and abatement; transportation services; feasibility studies; and lodging and convention centers. Intermediaries may borrow up to $2 million one time and $1 million at a time thereafter from USDA. Total aggregate debt to intermediaries is capped at $15 million. The USDA stipulates that ultimate loan recipients may borrow up to $250,000, but locally the limit is $150,000. Provided they owe no debt to the federal government, recipients of USDA loans must be U.S. citizens or individuals who have been legally admitted to the U.S.; located in a rural area with a population of 25,000 or fewer; an entity that is able to incur debt, give security and repay the loan; and a corporation, partnership, limited liability company, individual, nonprofit or public body. The USDA does not guarantee the loans provided through the intermediaries, though it has other loan programs similar to the U.S. Small Business Administration that it does guarantee. The USDA business loans differ from loans provided through SBA. As mentioned, the ultimate recipient of a USDA loan must live in a rural area, which is not the case with SBA loans. The USDA loans are only available through a small number of sources in the Sacramento area, while SBA loans are offered through a number of lenders and with a variety of loan choices. The reason is that with most of its loans, SBA guarantees that the lender will receive most of its money back if the business defaults. SBA loans can run up to several million dollars, while USDA loans are capped at around $150,000 locally. Also, SBA has its Microloan Program, which offers small, short-term loans up to $35,000 locally. The USDA loans start at $50,000. However, SBA does not guarantee its microloans if the business defaults. 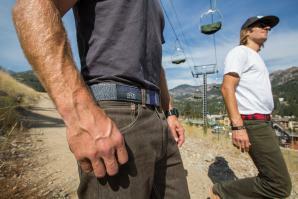 A slope-loving trio needed durable, weatherproof belts that would fit comfortably, last a long time and look good. So the self-proclaimed ski bums decided to make their own. Olympic Valley-based Arcade Belts launched three years ago from a living room and specializes in belts made specifically for winter-sport enthusiasts.